Electrical installation conditioning report or EICR is also known as Fixed wire inspection or Periodic testing. They all mean the same thing; all of these tests or reports come down to the same subject – ensuring your electrics are safe to use. Very much like a vehicle needing a MOT, an EICR is the MOT of electrical installations. It is needed to check everything is working safely and correctly. Primarily EICR is to safeguard against potential hazards that could arise from faulty or mismanaged electrical installations. This keeps the occupants or employees of the building safe from burns or shocks. 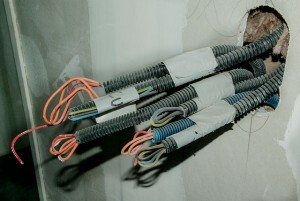 Giving you, the owner or tenant of the premise, a clear and concise view and knowledge of the electrical installations. Hopefully the tests come back reporting your installation is fit for operation. The report will also give you an insight into the electrical infrastructure of your premises with advisory work detailing any remedial work that might make the premises safer or more efficient. Other items that may be highlighted with an EICR test include energy and lighting efficiency, helping you save on energy costs. Did you know LED lights use less electricity but last longer and emit a stronger light, meaning you need less LED lights than you would normal lights? The report itself is becoming more and more sought after by insurance companies. This is to prove you have taken the necessary precautions to avoid accidents and have done your utmost to prevent both personal injury to your employees and damages to the building. If found guilty of misconduct, the insurance company would not have to pay out for any sort of compensation or fines. For more information see our FAQs, or alternatively you can request a free information package from EICR Testing by clicking here. Or call 0121 2850136 now! Tidy wiring makes working with electrical safer and better for EICR.